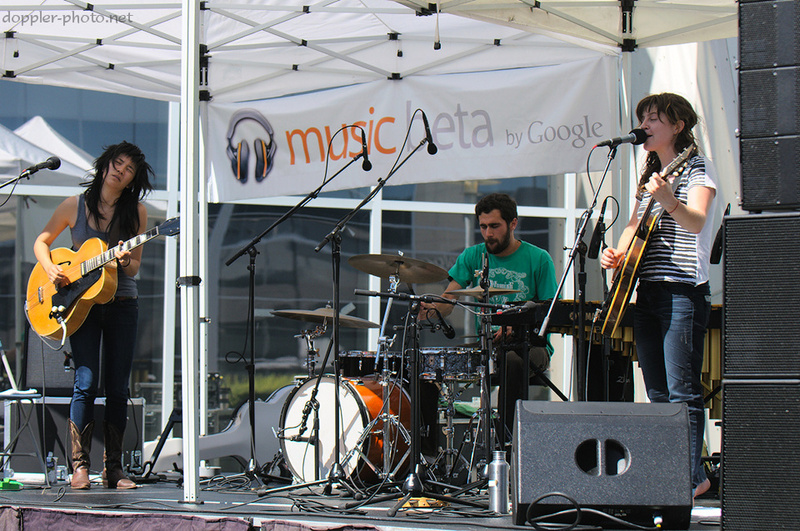 Around a month ago, indie musicians Thao & Mirah played for the Music Beta by Google concert series. The pair had spent the prior ~1.5 months touring the country in support of their first album together, Thao & Mirah, and the set included a number of songs from the album. 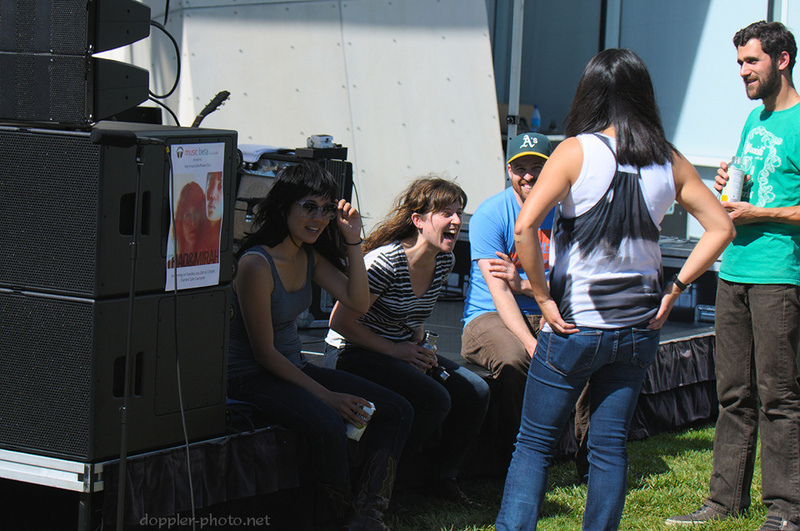 As the group played, I was repeatedly struck by how expressive Thao (left) appeared. At times (such as above), she'd rock out on her guitar, hair flying this way and that, seemingly oblivious to the world. Then during those same rises, she'd yell at the microphone, mouth open so wide it seemed like she was going to eat it. Then at the other extreme, she'd furrow her brow as she played, taking on what seemed to be a more somber mood. 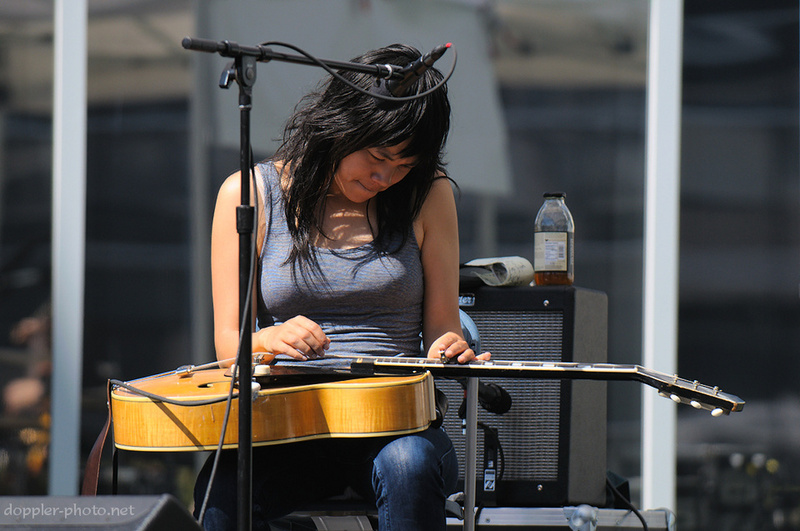 Above, Thao uses a slide as she plays during the song Squareneck, the closing track on their album. 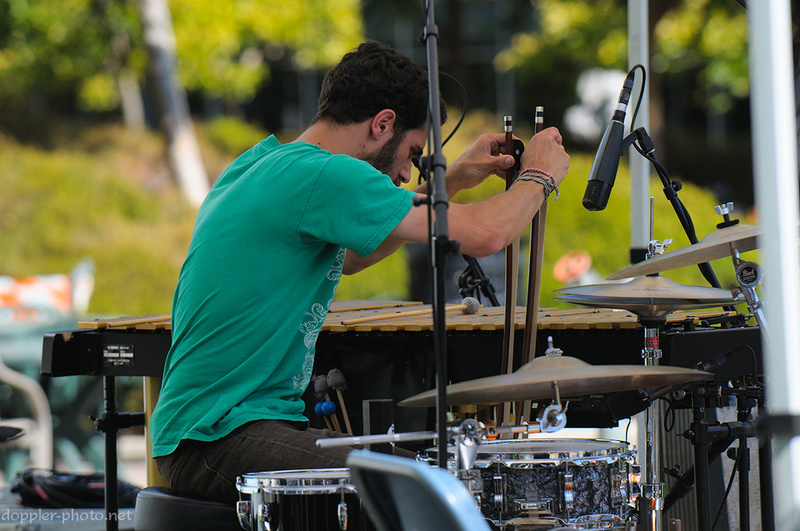 Percussionist Andrew Maguire plays the vibraphone with a pair of bows during the song Hallelujah. This was pretty cool. The musicians take a quick break and kick back with one of the organizers before meeting a throng of audience-members to take pictures and sign CDs.